This will in NO WAY be a professional production. Anyone interested in listening to this podcast, or participating in it, are encouraged NOT to take this too seriously. This is a small community driven and volunteer based podcast. Segments may include local organization information, fundraisers, community services, volunteer opportunities, jobs available in our area, lost and found or any information that might be listed on our Community Forum. Segments may include stories about growing up in Corbett. 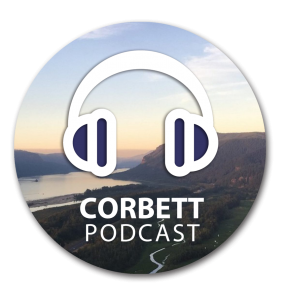 Interviews with a friend or family member from Corbett. 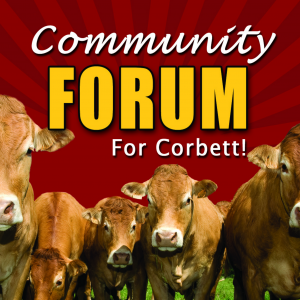 Read your own poem or short story involving Corbett. You can even create some radio theater/fiction. If you would be willing to be voice talent to read press releases or content for local organizations OR if you want to share some ideas for segments please feel free to email. If you would like to submit your own ideas and/or even your own recordings for consideration in a podcast – please read on. • Your recording does NOT have to be serious. Having fun and being creative is a great way to be informative! • Please NO copyrighted material, up to and including music, movie/television clips, sound bites, etc. • Absolutely NO racist, sexist, hate filled, bullying or questionable material. • NO ads/commercials/payed endorsements. Talk about what you like – but obvious “plugs” will be dismissed. • YES you can record a tribute to a community member or a family member. • YES your recording might be used in more than one podcast or you might be invited to become a regular contributor! STEP ONE: Send an email to admin@corbettoregon.com and describe the content of your recording or idea for your recording. If you have content but would like help finding some voice talent to read or perform your information – you can send that as well. If you are someone that might like to help with reading some of those articles/press releases – as voice talent, please also email to volunteer. STEP TWO: If your idea or suggestion sounds like a fit, you will receive an email with the details of what is needed. This will include any deadlines, content requirements, and a link where you can upload the audio file as an MP3. A quality recording will be best. These will be easier to listen to and if it isn’t easy to listen to, it may not be considered. If you don’t have a good mic you can try out a free or inexpensive recording app for your smart phone or tablet and work on creating a quiet place to record. Do a few experiments to get the sound right before spending a lot of time recording your content.